Every market has its risks; Brazil is no different. Unfortunately, like in any other country, the online market has fraudsters, deceiving customers, and all kinds of ill-intentioned people trying to take advantage from any security breach that an e-commerce might have. All this does not mean that companies shouldn’t sell online to Brazil, it’s quite the opposite, there is a huge potential here, a market full of opportunities for those who wish to explore it and grow their business. Companies just need to learn “how to do this” safely. One of the main reasons why in the last years we suffered with so many online frauds is because we are a continent-sized country (207 million people) which experienced an explosive internet growth in the last decade, today 63% of the population has internet access (that’s 130 million potential online shoppers). In order to understand this internet boom, in 2010, only 43 million (22%) of the population had access to the web, a sizable part of the population was still in the early adoption phase. Online purchases in international websites grow at an average pace of 17% every year, according to the “WebShoppers” annual report published by ebit. 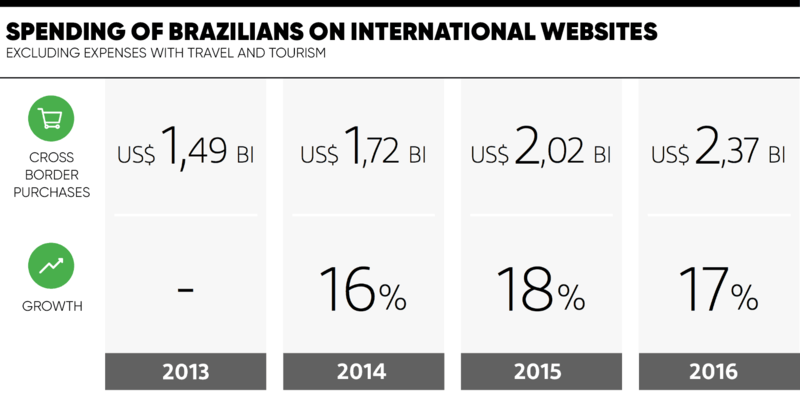 In 2016, Brazilians spent USD 2,37 Bi in retail purchases from international websites (this number does not include expenses with tourism and travel). The world is evolving, technology is changing all the time, but regrettably, fraudsters are evolving too. To prevent being a victim, it is very important to use cutting edge technologies developed for online transactions: anti-fraud systems are the main piece of this puzzle. In the last years the projects Verified by Visa and MasterCard Secure Code faced a huge resistance from the population in Brazil, so other players came along with alternative solutions, among those we can highlight ClearSales, Konduto and FControl. Here at EBANX, we use Konduto, a system that uses machine learning and is as effective as an anti-fraud tool can get today! Our anti-fraud is complemented by a team of risk specialists in charge of monitoring unusual activity. Most companies are worried with the following question: “How can I dispute a chargeback?” The answer is simple: you are doing it all wrong… before thinking about disputing a chargeback, companies should be thinking on what is the best preventive strategy to avoid them! Keep your customers close: with an effective customer service, companies can keep frequent contact with their customers and when a problem arises, the solution will come before the customer considers opening a chargeback. Offer a tracking number: this is reported by many companies as the best strategy for physical goods. The customer will know in real time (or almost) where the product is and what its status is. 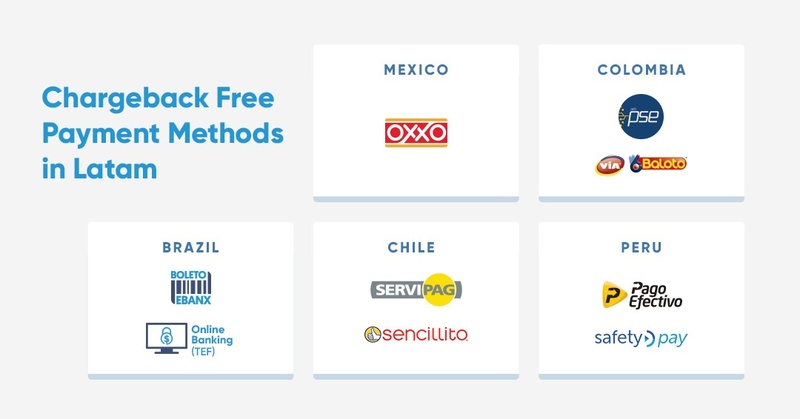 Offer payment methods which are “Chargeback-free”: cash payments are very popular in many countries and are free of chargebacks. If you want more tips about how to prevent chargebacks I strongly recommend the ultimate 5 step chargeback-free strategy guide. The year of 2016 wasn’t a bed of roses for the travel industry in Brazil, according to the Brazilian Central Bank, this sector suffered an average retraction of 16,5%. Political scandals, economic uncertainty and the crazy rollercoaster exchange rate of the US Dollar scared many people who were planning to travel abroad. Fortunately, in 2017 this scenario has changed, the first quarter of the year was very promising, in January the amount spent by Brazilians abroad totalled USD 1,578 bi, an increase of 87,86% in comparison with the same period in 2016 (USD 840 mi). For those who were thinking that it was just a lucky month, February proved that Brazil is back on track, the travel industry growth was 61,7% with USD 1,36 bi spent by travellers abroad. The reasons for the industry’s growth was that Brazilians were still wanting to travel, but were being cautious to do it. So the travel industry had to adapt to this new reality which Brazil was living. Companies that understood these new market conditions are profiting despite the crisis and the associated risks. 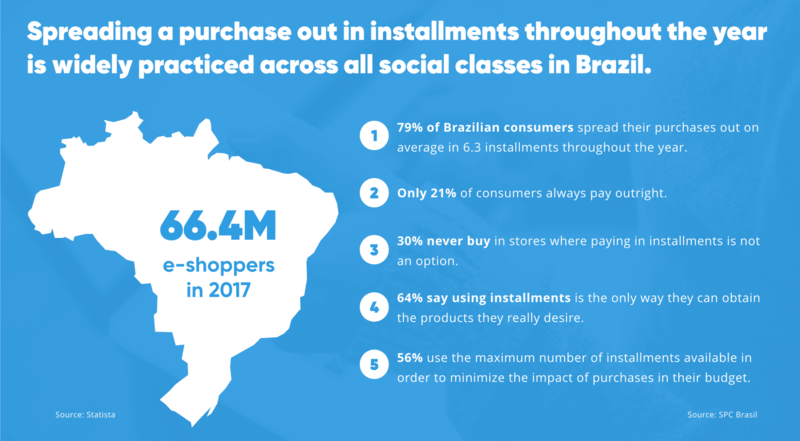 When the price is over USD 100.00, 79% of Brazilians have a strong preference to pay with installments. Basically, this allows them to split the price into smaller payments to be paid in a pre-established number of months. But what if the customer still has some outstanding payments after traveling, and, when he comes back, decides to open a chargeback? Long story short, the bank should open an investigation. Nevertheless, in Brazil there is a well-known phrase “The customer is always right” and many banks stick to this rule, so they will open the chargeback if the customer pushes them. Fortunately, there is a way to protect your business against people with bad intentions, using a “term of debit awareness.” Debit awareness is basically when the customer signs a term agreeing to be aware that in the following months there will be a charge on his credit card bill. This cash payment method strikes oddly for people who never heard of it, but it represents almost 30% of all online payments in Brazil. Due to the high average ticket of the travel industry, most people consider it inadequate to use a boleto, since the customers have to pay in cash. Nonetheless, boleto is very popular and it has won the hearts of Brazilians when it comes to travel. It doesn’t use the customer’s credit card limit. Planning before travelling: there was a time where all Brazilians who wanted to travel abroad had to own an international credit card, but now, that’s no longer a requirement. Brazil is full of opportunities, companies shouldn’t be afraid to join this market. Risks are everywhere, but for sure the profits are much bigger for the ones who know how to explore these possibilities. If you are willing to join the ones who are making millions selling to Latin America, but feel insecure about this market, EBANX certainly will be glad to help your business thrive in LatAm, and most importantly, with safety!